“This is not a show. It’s something else”, we’re told. 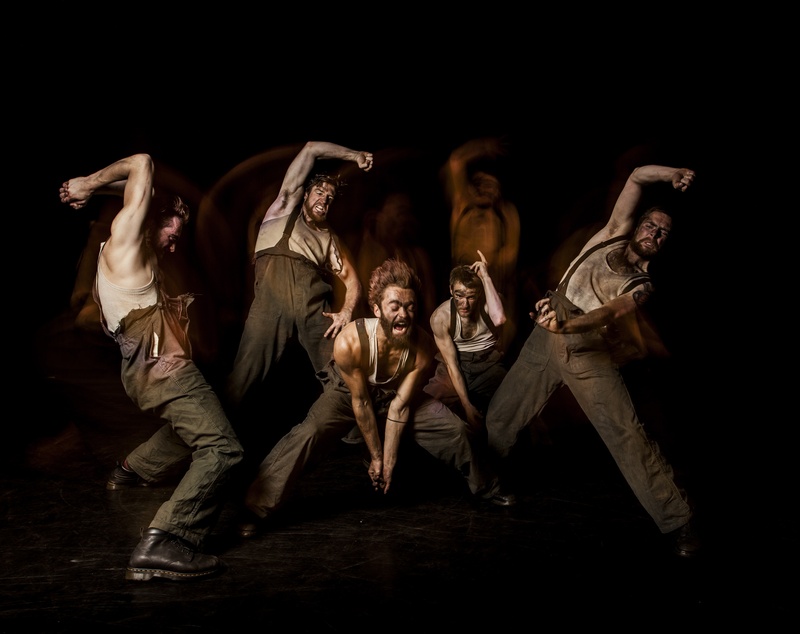 Gary Clarke’s dance performance of the life and decline of Britain’s mining communities is certainly something else. ‘Do you want to go see some miners and Mrs. Thatcher dancing about the 1984 strike?’ is perhaps one of the weirder questions you could be asked. Despite the apparent incongruity, just a few minutes in you realise that this is no gimmicky crossover – not a ‘let’s do something weird because why not’ approach to theatre. 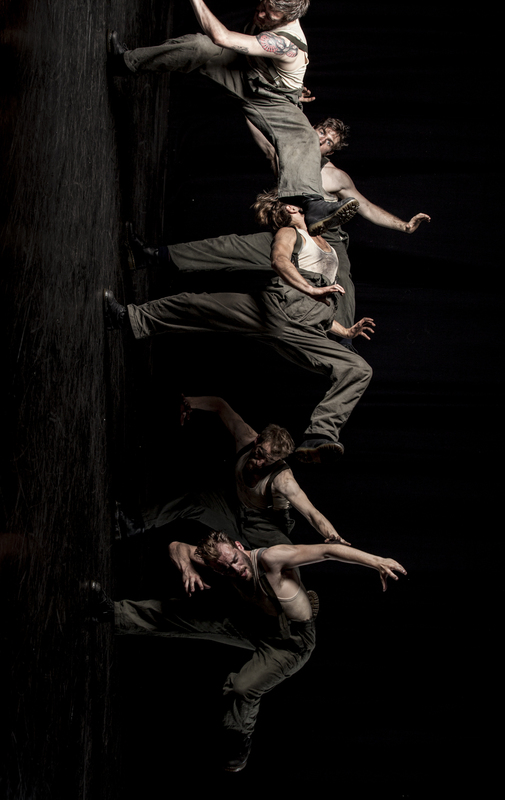 Contemporary dance, it turns out, is the perfect vehicle for the story. After a three-year run touring around the country, particularly stopping at communities associated with the coal mining industry, the award-winning COAL finally hit Brighton Dome this week. It’s perhaps appropriate, if accidental, that Brighton in 2018 is literally the last place you would take a production set among the tough physical work of the coal mines. But the second surprising thing one notices is that our audience responded just as powerfully. COAL, like all great stories, has the winning combination: engrossing to watch, important in the story it wants to tell, but with an emotional core applicable far beyond its subject matter. The simple values of community, solidarity and dignity shine through every scene. Perhaps these values are rare in our day and age – take that nostalgia, couple it with a dash of inspiration and you get a profoundly moving and human piece that won over our audience just as it has across the country. The writhing centrepiece of the performance is an engrossing 35 minute sequence set underground, five dancers interpreting the physicality of the back-breaking work. The success comes from a choreography which challenged the dancers physically to such an extent that an audience can’t help but genuinely feel for the performers. This was no shallow reflection of mining in dance – but a faithful study in movement, replicating the rough and repetitive actions of the work point for point. Most striking is the community spirit amongst the five performers. Without breaking step, we see the men take their break halfway through the routine – by which point they and we are already fairly exhausted – only to begin all over again after a brief spot of cards, dance and banter. In one moment, one of the company having fallen with injury or fatigue has to be lifted by his fellow performers and, one by one, carried at a run around the stage. It was the gasp-inducing culmination of the painful work of dance and the painful work of mining coming together in a moving symbol of cooperation and humanity. A special mention is deserved for the women of the cast. Their performance was both integral to the story – carrying almost all the dialogue they convened an underappreciated story of everyday strength and rebellion, executed just as impressively in performance. The performers were all selected by Community Cast – bringing local people with no required theatre background into the roles for each different location on the tour, with just two days rehearsal time. The best compliment I can pay is that it was impossible to tell. But beyond that, as Clarke tells us in the post-show Q&A, ‘it would be wrong to make a show about community and not be part of it’. It’s another intriguing nod to the need to do a different kind of show which runs throughout the work. COAL is proudly weird, exhausting, moving and thought-provoking. It hits the mark technically and carries its subject matter believably. But in the end, everyone should go and see it wherever you can, regardless of whether you think it’s for you at first glance. The heart, the humanity, and the simple values-driven approach to art are universal. It’s one of those works you didn’t know you needed until it was there. And whether in Brighton or Barnsley – we do need it.